Posted March 23, 2019 at 8:46 am . 1 comment. The Canon Direct Store 15%-off refurbished sale has been extremely popular, with many items already sold out and out of-stock. You get 15%-off refurbished cameras and lenses when you use coupon code “FRIEND15”. 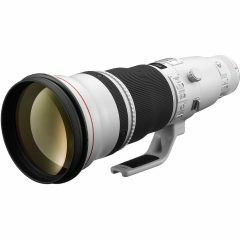 The sale ends on March 28th, and there may be additional restocks prior to the sale ending — for example, the EF 600mm f/4L IS II USM for $7819.32 just restocked (2 copies). Check out our refurb stock tracker to see all items. Pretty good price on that SL2, for anyone looking to get a camera for the first time, or upgrade from an older model or one of the base models. That 77D price is very good, and it’s just a step down from the 80D in overall features, most of which I doubt people would notice the difference. 5D is pretty good, but I think we will see the black friday deals come back around easter time, not the 2450 price, that likely is not coming back. I mean the 2800 with the grip, printer, paper, and battery. It might be worth waiting, and I think we will see the 5D more often in these refurb sales from here out. The 6DmkII, well, I have to think that it would be better to go with the RP for 1300. It comes with the EF/EF-S adaptor, and that opens up the option of full frame to anyone shooting Canon APS-C without also having to invest in new lenses right away. A wide angle lens alone will cost a lot more than the 200 you would save on the 6D (actually less, since they collect tax). I guess if you would rather have the 6D, then go for it, I really think it is just a better idea to get the RP instead. 70-200mm IS II is better price here than I have seen used, even after tax. Still a top lens, the mkIII is only better if you are shooting against strong backlight a lot. I don’t have issues with mine, and well, there is a reason it was the choice of pros for so long. 24-70mm II is a heck of a good price. For less, you can get a Tamron 24-70mm F2.8 G2, which also does quite well and has VC (Tamron’s IS), and even has a insane 6 year warranty. Love mine. The 50mm f1.2 is pretty good, but here is the thing. I hear a lot of gripes about how spotty the focus is. The DOF is so thin at F1.2, that you will lose focus if you or the subject moves at all. If you have to have F1.2, it’s probably your best bet. Otherwise, I personally say that for about the same money I would much rather have the Sigma 50mm F1.4 Art. I can’t even say enough good about this lens, and have never regretted getting it. Best lens in my arsenal for overall IQ. And for those that can sell your car or mortgage your house, that 600mm will be the envy of anyone that sees you with it. Still too much for this mere mortal.